Complete range of Bonaldo Peanut B sofa modules. 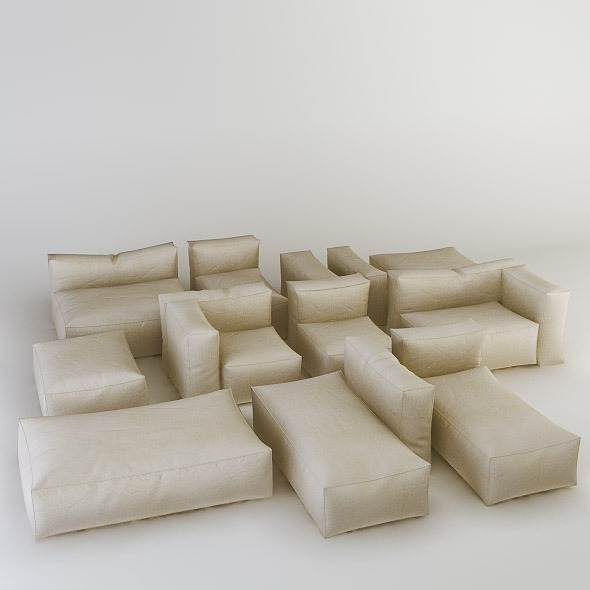 Containes 12 pieces: 3 middle modules, 3 poufs, 2 corners, 2 armrests and 2 lounges. Realistic V ray shaders (only in .max file) and 3 textures are included.